Consistent - achieve perfect taste and texture every time. 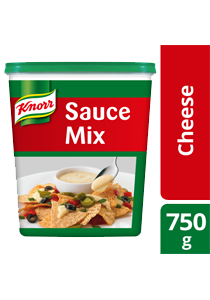 Use 230g of Knorr Cheese Sauce for every 1L of water and 200ml of milk. Ideal for Spaghetti Bolognese, Macaroni and other pasta dishes.